View anew the environmental treasures of our Saugatuck/Douglas community through these remarkable works from local photographers John M Fleming and Bill Werme. 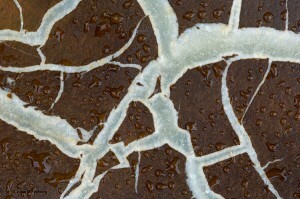 Micro/Macro features Bill Werme’s stunning aerial views of the Saugatuck/Douglas landscape juxtaposed with John Fleming’s lush close-ups from the same spaces. Soar over the river, lake, dunes, and forest then discover the pebbles, snowflakes, ice shards, and leaves. These artful views capture the mighty – and quiet – beauty of our shoreline region. All prints in the exhibition are available for purchase; 100% of sale proceeds will help underwrite the SCA’s 2010 exhibition programming. This image shows the Lake Michigan shoreline during the early months of winter when neither the ice nor snow has built up too much on the sandy beach. At the edge of a stream flowing into Lake Michigan, this fallen oak leaf is trapped and surrounded by the halo of black ice. This image was shot at sunrise on a very cold morning with temperatures barely in the teens. The previous afternoon was bright and sunny initiating a thaw followed by sharply falling temperatures during the night. 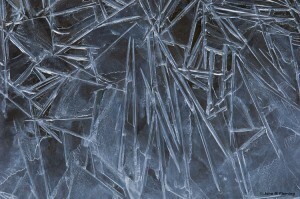 Thus, this interesting ice shard pattern was created. I was fascinated by the starburst crystals suspended in the ice bubbles in this composition, which was shot along the Lake Michigan shoreline near the Douglas Beach. Captured before sunrise this image is of an active streambed near Lake Michigan (the day after a thaw). 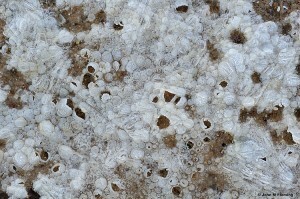 The current produced air bubbles which collected along the edge, and were in the process of freezing above the colorful rocks. 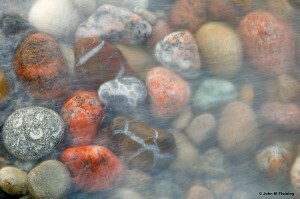 As a nature photographer, I was attracted to the movement of water washing onto the shoreline and across the rocks. This particularly cold morning I was looking for unique patterns with different shapes and designs in the ice. 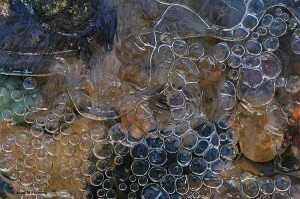 This image reminds me of exploring water samples through the lens of a microscope. Did you know that when the rainfalls on the underside of a fallen leaf the raindrops remain as drops, unlike if the rain were to fall on the right side, they would roll off? I took special notice of the microscopic effect the raindrops had on the vein patterns. 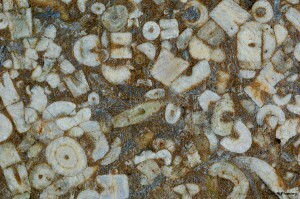 Found near Pier Cove the biogenic fossil is a clue to the natural history along the Lake Michigan Shoreline. 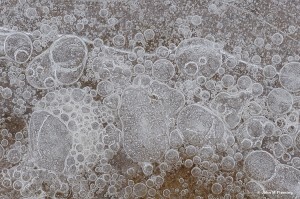 In a shallow section along the Lake Michigan Shoreline, the whimsical pattern of the ice bubbles formed this image. Captured near the Pier Cove beach, rock build up of this type is the result of major storms in the, late fall /early winter or late winter/early spring as the ice recedes. In the later case, the ice acts like a small glacier and pushes the rocks into piles at the edge of the water. I was attracted to the colors and variety of shapes in this image shot at a slow shutter speed as the wave washed over the rocks. So many times when we admire a sunrise or sunset, our focus is on the horizon. The interplay of light and color in this image indicates the sun is setting at the Douglas Beach. The Lake Michigan shoreline offers a place to find silence in this late fall image after sunset. The natural rhythm of the wave quiet the mind and refresh the senses. 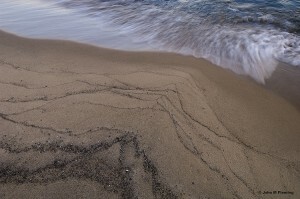 Fascinated by the V shape marks left on the sand as the waves receded I waited for the ‘right’ wave to wash into the point of the V to capture this image of a specific, recurring pattern. Drawn into the simplicity of this scene-I am reminded of a meditation rock garden. The gentle sand pattern above the rock creates a harmony which is both relaxing and soothing. Late fall or early winter, zebra mussels are left in masses along the lakeshore. After a storm, during my scouting I was attracted to this septarian concretion nested amongst the zebra mussel shells. 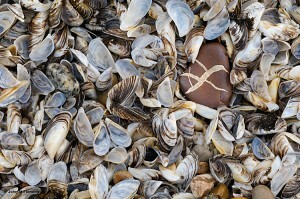 Its presence anchored the pattern of the shells in the overall composition. Septarian Concretions, found primarily south of M-89, have interesting patterns, especially this one covered with raindrops.